Welcome To The Beautiful La Ventana Bay! Interested in learning how to Kite board? 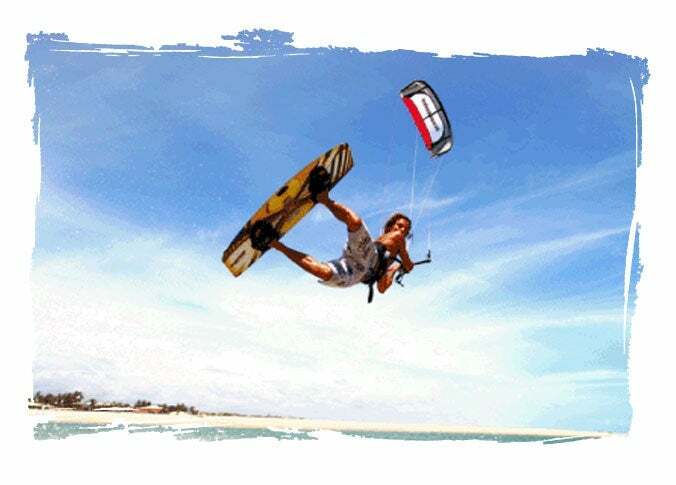 How about learning to kite in one of the best locations in the world! Our goal at Baja Kite and Surf is for you to have a safe, fun, positive learning experience while enjoying all that La Ventana has to offer. Our IKO Certified instructors have years of experience teaching and will get you up and riding as quickly as possible with safety always being the #1 priority. We use Radio assisted waterproof helmets, ATV's, Jet Skis and Paddle boards, as well as, the latest equipment from North Kites, Dakine, Ion and Mystic. 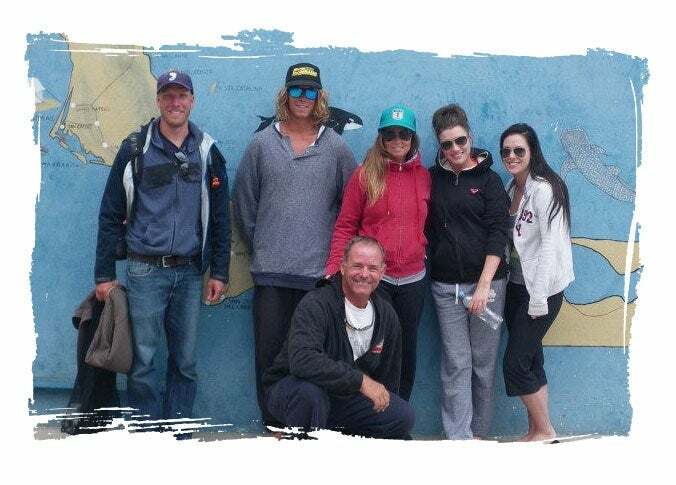 Our main focus is kiteboarding, but if you need a break [many years we have had wind and kite-surfed for over 60 days straight] Surf trips are available, location and duration dependent on conditions at the time. We are a family run operation with over 30 years experience in Mexico. We have been exploring and enjoying Baja since 1992. Come join us and let us share our adventure with you! Really was one of the most incredible weeks. Norm and his son, Handsome Dave (he truly is Majestic), took care of us beginning to end. When starting to kiteboard, lessons are an absolute must (for safety, etiquette on the water, familiarity with the equipment...) These were not my first lessons, but were by far the best to date. Kiteboarding can be a very dangerous sport, unlike a lot of other groups in the area, safety really was their first priority. The lessons were appropriately paced and guided towards performance ensuring steady improvement. Although we were in the water for over 3 hours a day, we likely spent even more time off the water with them, because they were just such nice guys. They took us under their wing and were able to introduce us to the local life throughout the week.They were kind, patient, and made us feel like we were part of their community. They are IKO certified instructors and, from what I can tell, they really do love what they do. Without a doubt I will be back. Just had my first Kiting lesson with Dave. What an awesome instructor - he made understanding the theory totally painless and easy to grasp. I was comfortably flying a kite in and out of the power zone by the end of the lesson... and I have literally never even really thought about Kite Surfing before a couple weeks ago. I can't wait to get out there with you guys again - this is addicting!! I highly recommend Baja Kite and Surf if you want to learn from the best, in the best environment. Thanks, Dave! My brother in-law and I spent a week with Norm and Dave and not only was their instruction first class, they were so welcoming that they made our trip. I enjoyed every minute with them and would not hesitate to recommend them to anyone. 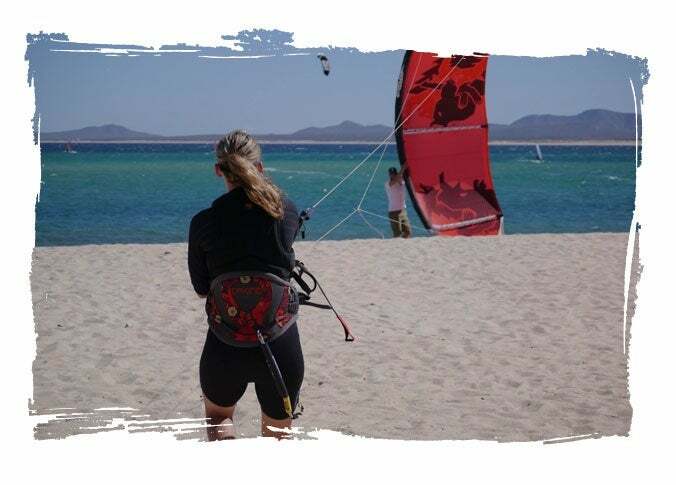 If you are heading to La Ventana and looking to learn how to kite, looking to refresh your skills, or looking to excelerate your game to the next level definately get in touch wit theses guys. With their help I was able to progress beyond many people with a lot more time on the water!